When Jeff and I were shopping for the new dog child we were reminded just how much it costs to buy leashes and collars. I don't know how we manage, but we seem to lose a lot of leashes. We quite often are looking around for them when it's time to go out, so I decided I had the technology to just make more. I did have to buy some materials though. 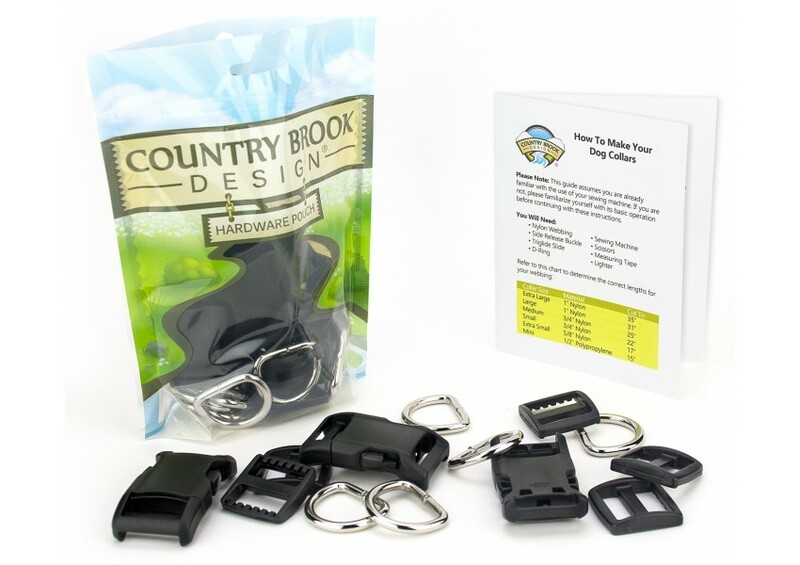 I shopped around some and found Country Brook Design has competitive prices and collar packs, so I ordered some 1" webbing and hardware for collars and leashes for Shasta. 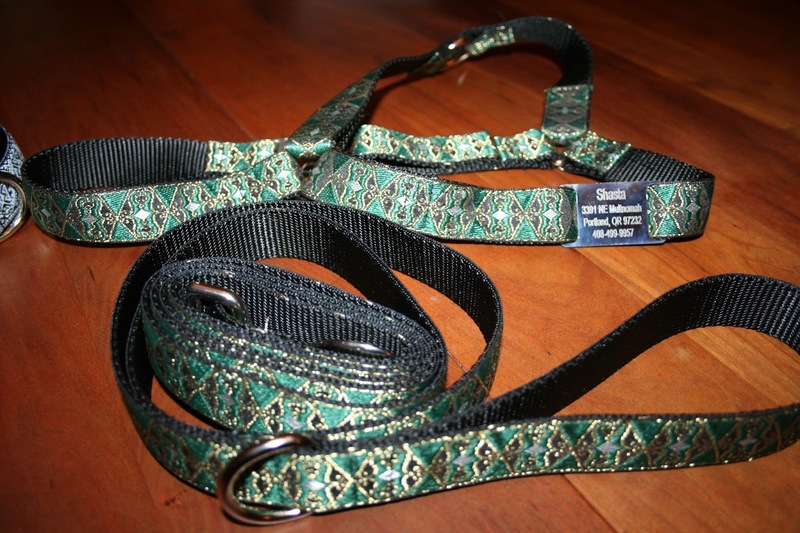 There are several websites that show how to make collars and leashes, but truthfully, I just looked at collars and leashes we already had to duplicate their construction. But I did find some good tutorials and I'll list them here. 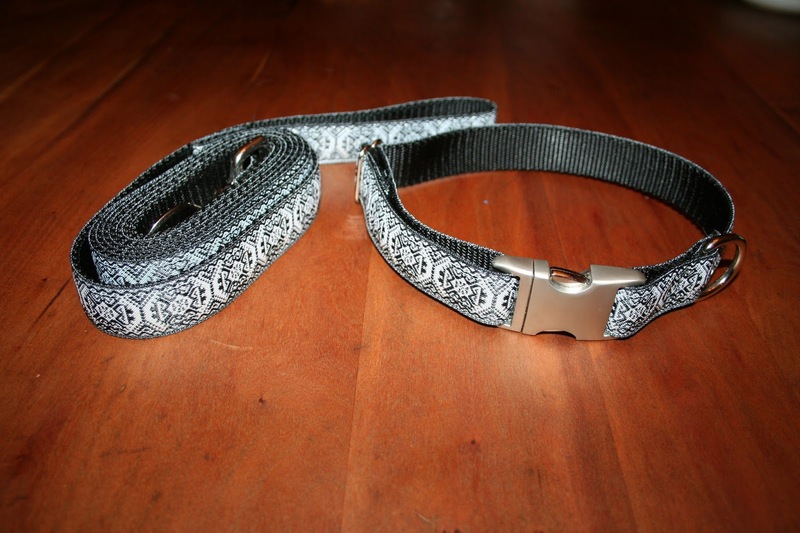 I actually started by making this leash and collar set, to practice. I'm not even sure what I'll do with it, because I don't really need it. 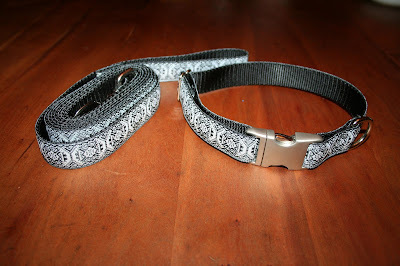 Then I finished Shasta a new harness and leash with Jeff's favorite colors. I'll try and get a photo of her wearing it when she's awake. This was so much fun, I've ordered some more webbing in a thinner size so I can make gear for Bailey. I likely won't bother with the metallic trim for her until she gets a little bigger because she'll grow out of harnesses too quickly. Those look very nice. You should open an Etsy shop. Couldn't the same materials be used to make camera and guitar straps? Sure, you could make camera and guitar straps out of the same materials. I've thought of the etsy shop, but I doubt I would make money at it. Though, it might be a way to recoup some of the loss on this metallic trim that I no longer need. Thanks Connie, I appreciate the encouragement. I do like those tags, though they work much better when you remember to put them on before you sew. LOL I also bought two of them for Bailey: one little for now and one of the larger sizes for when she grows up in a few months.